July 10. 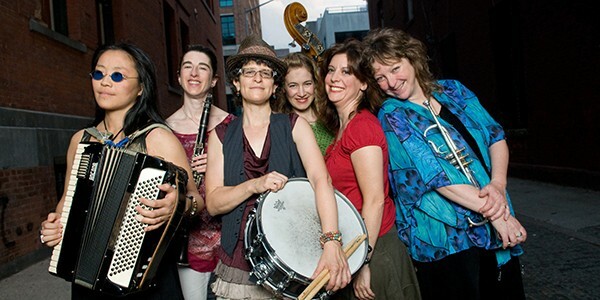 With one of our favorite band names ever, all-female klezmer band Isle of Klezbos is no novelty-concept act. 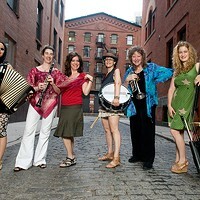 The veteran New York group is one of the most acclaimed and esteemed klezmer units around today, approaching "tradition with irreverence and respect" and headlining at clubs and festivals around the world. 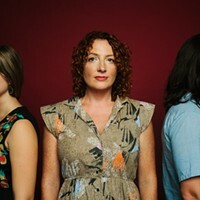 In addition to their recently working with Jill Sobule and Scissor Sisters, the clarinet/sax/trumpet/flugelhorn/accordion/drums ensemble's music has been featured on "CBS Sunday Morning," CNN's "World-Beat," PBS's "In the Life," and Showtime's "The L Word," and other films, TV shows, and radio broadcasts. No strangers to playing in the Hudson Valley, the band here returns to our region for a much-looked-forward-to show at the Rosendale Cafe. 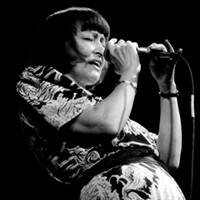 (Krewe de La Rue does the Cajun two-step July 3.) 8pm. $10. Rosendale. (845) 658-9048; Rosendalecafe.com. Preview one of their traditional renditions below.